The Council leases the site to the Bowling Club. 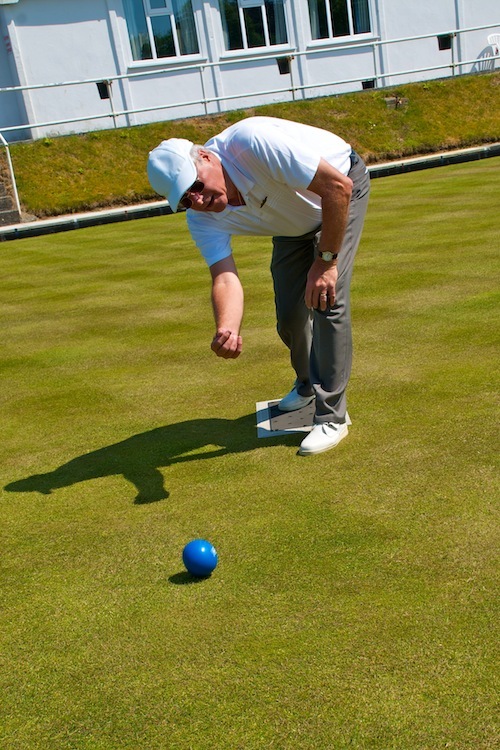 Lawn bowls is usually played on a large, rectangular, precisely levelled and manicured grass or synthetic surface known as a bowling green which is divided into parallel playing strips called rinks. In the simplest competition, singles, one of the two opponents flips a coin to see who wins the “mat” and begins a segment of the competition (in bowling parlance, an “end”), by placing the mat and rolling the jack to the other end of the green to serve as a target. Once it has come to rest, the jack is aligned to the centre of the rink and the players take turns to roll their bowls from the mat towards the jack and thereby build up the “head”. A bowl may curve outside the rink boundary on its path, but must come to rest within the rink boundary to remain in play. Bowls falling into the ditch are dead and removed from play, except in the event when one has “touched” the jack on its way. “Touchers” are marked with chalk and remain alive in play even though they are in the ditch. Similarly if the jack is knocked into the ditch it is still alive unless it is out of bounds to the side resulting in a “dead” end which is replayed, though according to international rules the jack is “respotted” to the centre of the rink and the end is continued. After each competitor has delivered all of their bowls (four each in singles and pairs, three each in triples, and two bowls each in fours), the distance of the closest bowls to the jack is determined (the jack may have been displaced) and points, called “shots”, are awarded for each bowl which a competitor has closer than the opponent’s nearest to the jack. For instance, if a competitor has bowled two bowls closer to the jack than their opponent’s nearest, they are awarded two shots. The exercise is then repeated for the next end, a game of bowls typically being of twenty one ends.